“Member Experience”// Momma Nut” // “Tay Tay” These are just a couple of the names our girl Tay Tay Stroud has gone by. 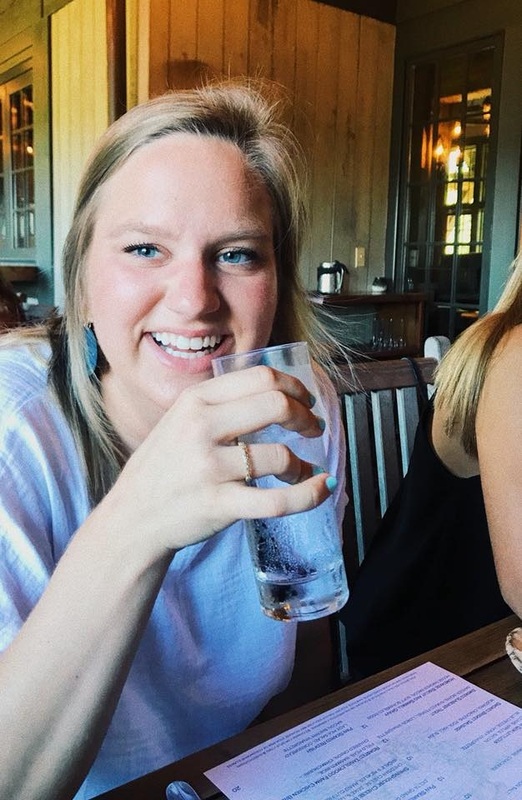 This natural born leader has held various positions on Alpha Gam executive council such as Vice President of New Member Experience and Vice President of Member Experience. She has so selflessly served each girl to ensure that their Alpha Gamma Delta experience is one unlike any other. Tay Tay is the type of girl who wants everyone to feel comfortable and at ease around her. Her contagious smile and joyful spirit have lit up our chapter room and member experiences for the past 3 years. During 2018 recruitment, we witnessed her pour out her heart and be so vulnerable so that girls would feel her transparency and the love she wanted to demonstrate. As we watch her grow and lead our chapter in more ways than one, we admire her authenticity and genuine heart. “She loves others so well; regardless of whether they are on the mountaintop or in the trenches,” said her friend Rushton Davis. Tay Tay continues to love on the girls she once served as Momma Nut (VP of New Member Experience) for, constantly checking in on their lives and continously welcoming girls with open arms. Now serving as VP of Member Experience, Tay Tay ensures that at all stages of girls’ four years, they feel secure and loved. Her heart and passion for the Lord shines daily. We thank our lucky stars for someone like Tay Tay Stroud. “Tay Tay helped my whole pledge class adjust to college and was my mom away from home,” said freshman Camille Dicarlo.